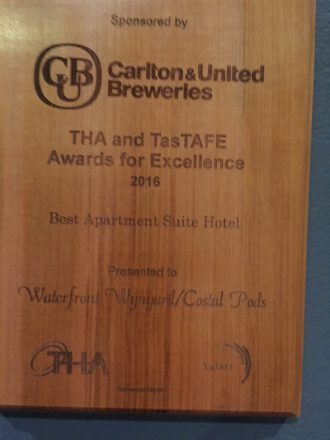 It was with much excitement that I was able to receive the award for best apartment style hotel int he recent Tasmanian Hospitality Association awards for 2016 for the Coastal Pods. These awards are based solely on customer experience so a big thank you to our amazing team who delivered yet again, on some pretty great customer service. We have the vision, but they deliver on the promise. 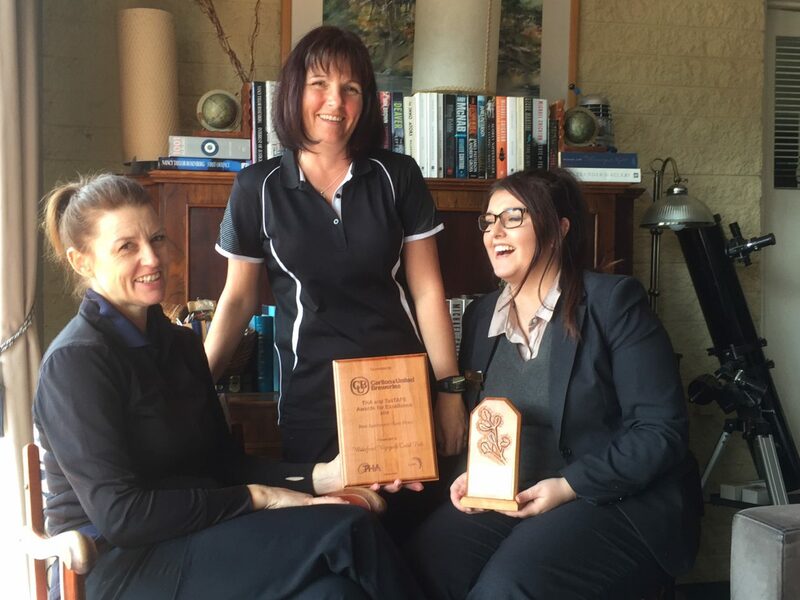 We are so excited to be runner up in the best disability accommodation as well- congratulations to the Zero Davey hotel in Hobart. A very worthy winner! And congratulations to all the amazing North West Coast properties who did so well. We are definitely punching above our collective weights to deliver on the promise. Now on wards to the Nationals in September!!!! Okay- I know it says costal pods- but we know who they mean! Head Honcho Waterfront Wynyard Accommodation Precinct Lover of music, vinyl records, retro anything, old motels and psychological study. Love travelling, quirky people and eating amazing food. Seeking the world's best hot chocolate fudge Sunday recipe. Get your people to talk to my people if you find it. Ultimately, I'm still wondering what Willis was 'talkin' 'bout'. Did you know you can charge your Tesla while you stay at the Coastal Pods?? Trading Terms | Copyright © 2019 Coastal Pods Wynyard. All Rights Reserved. All artwork © Print Domain. Web Site by Print Domain.